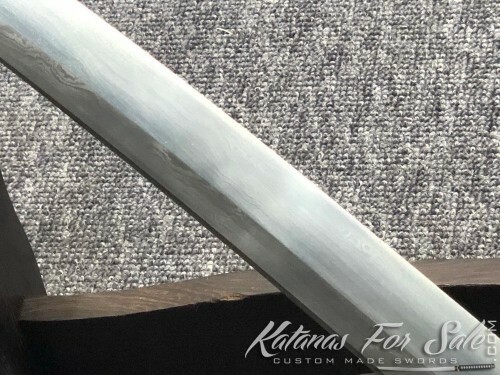 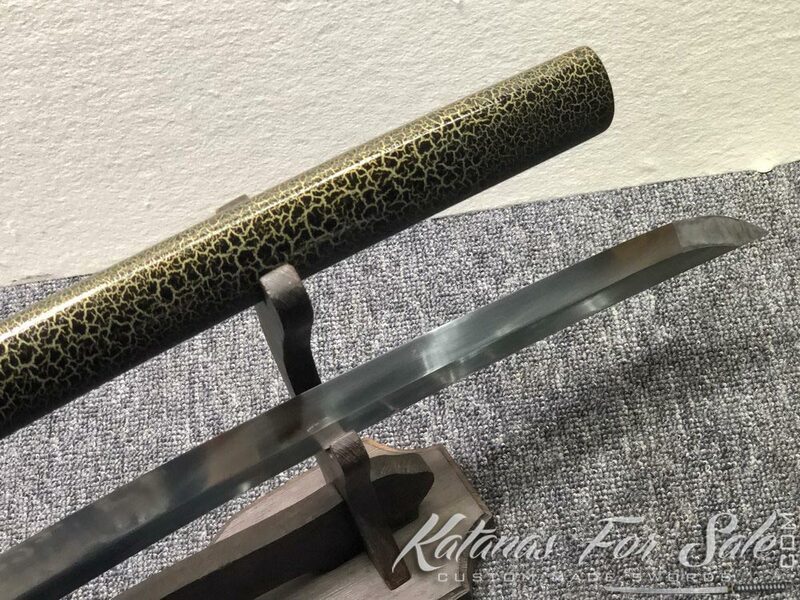 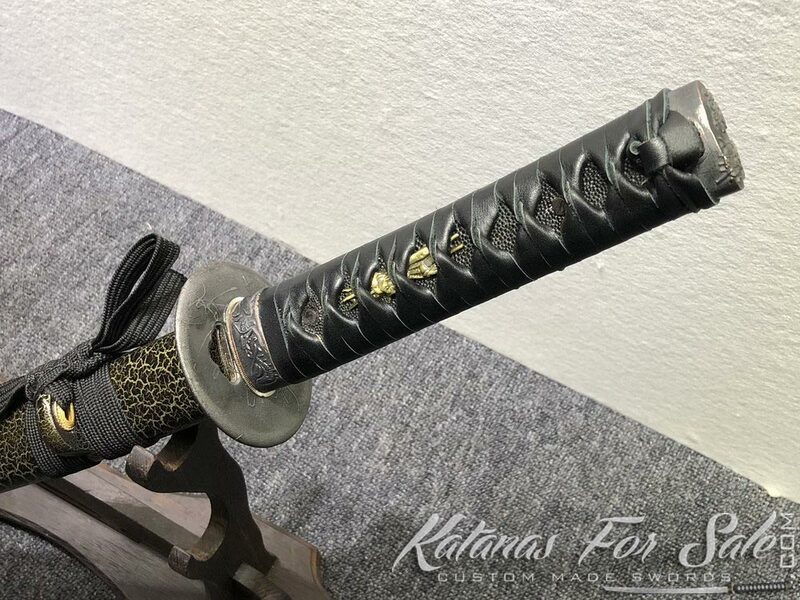 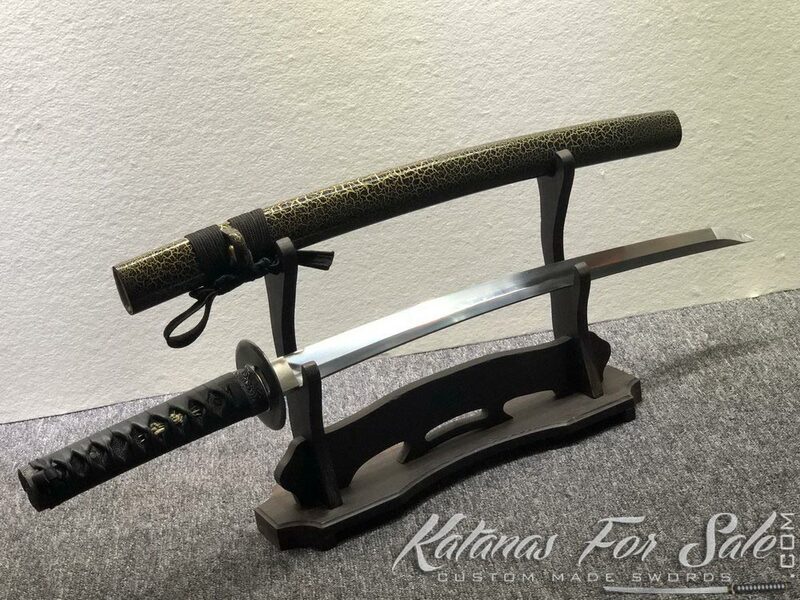 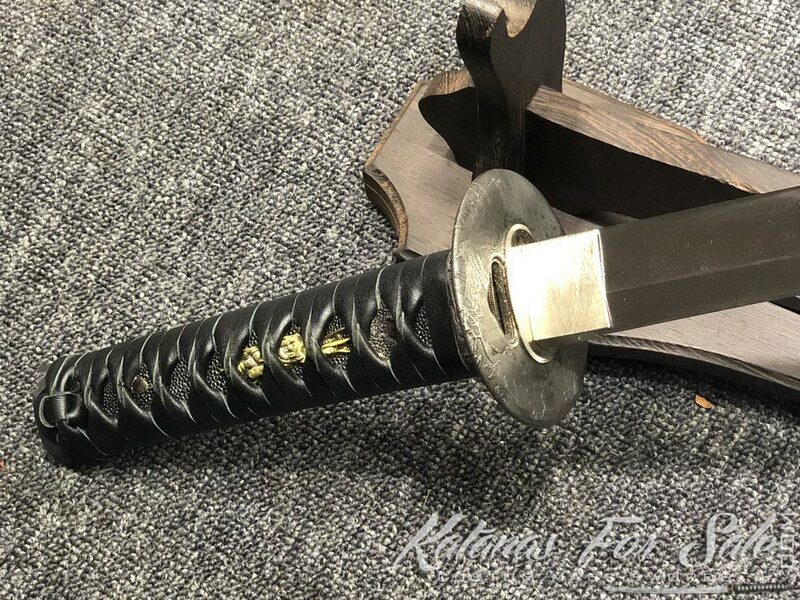 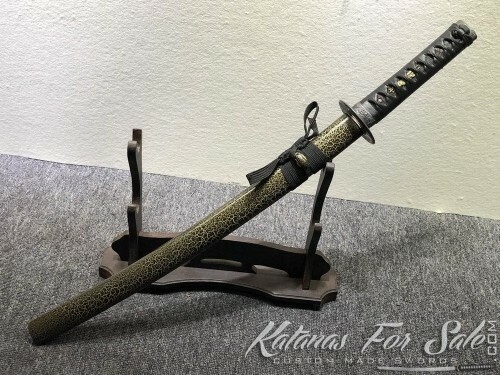 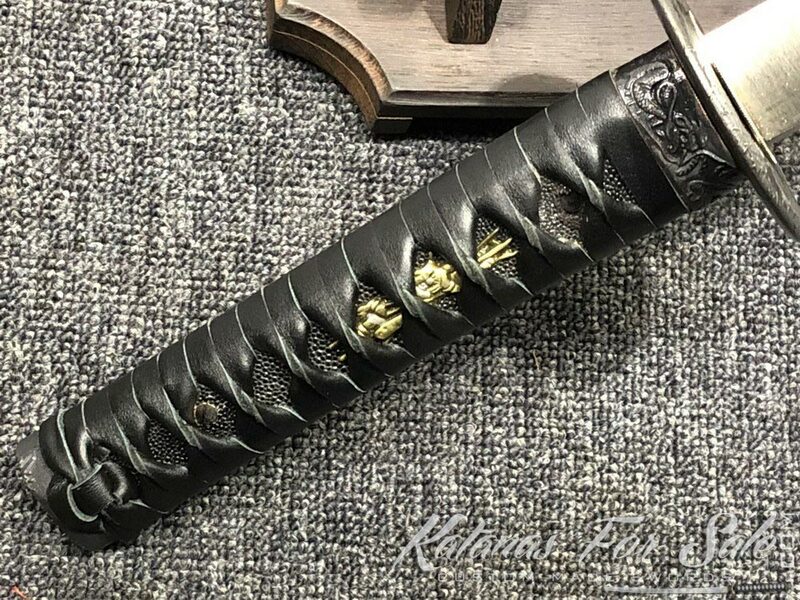 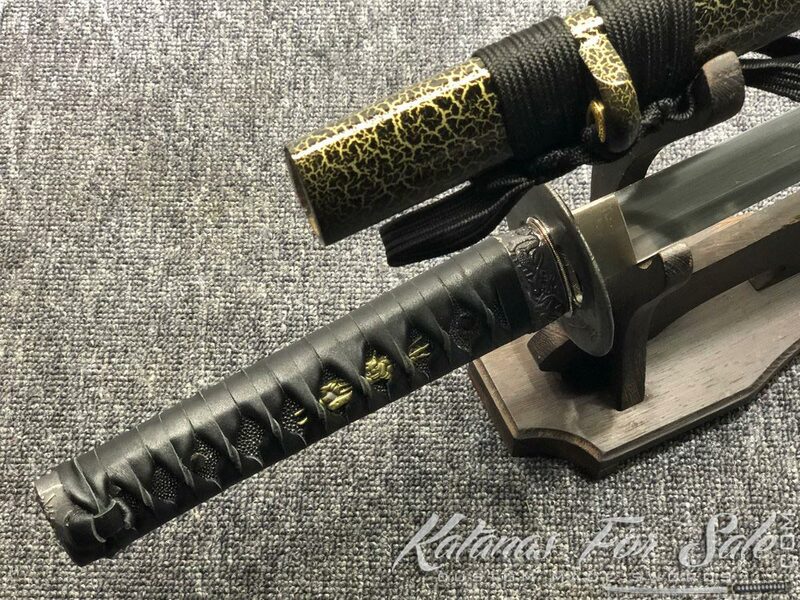 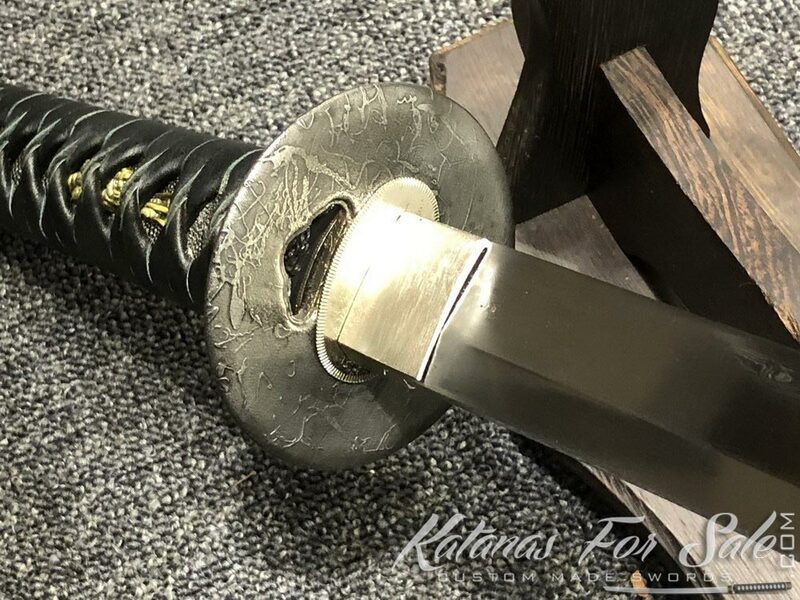 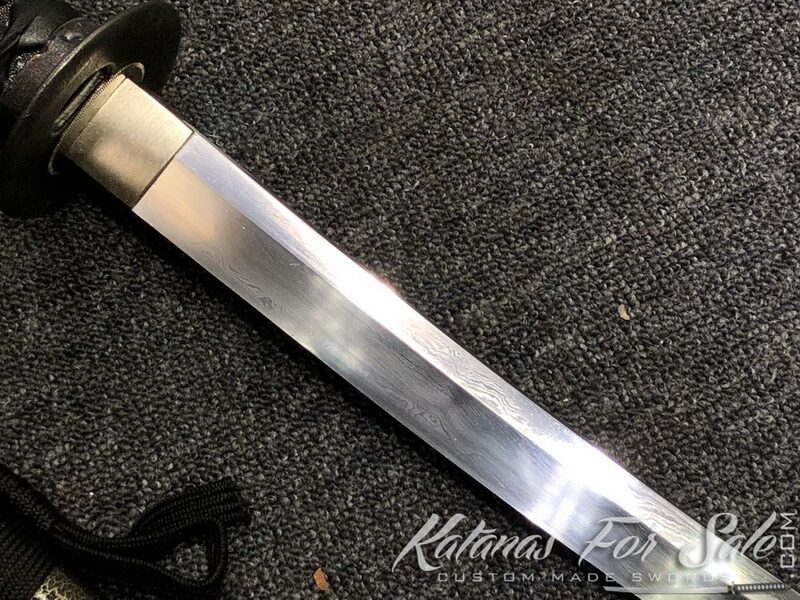 You are looking at 1095 folded steel Wakizashi, the blade has been folded 13 times and has 8192 layers of steel, it features black leather wrap with black Samegawa and synthetic green leopard leather wood Saya. 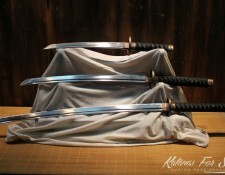 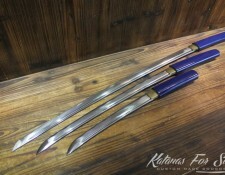 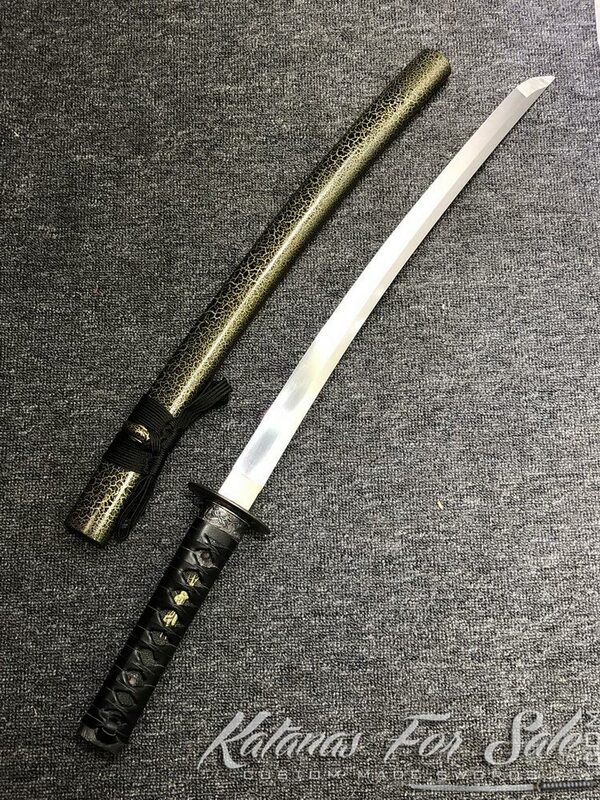 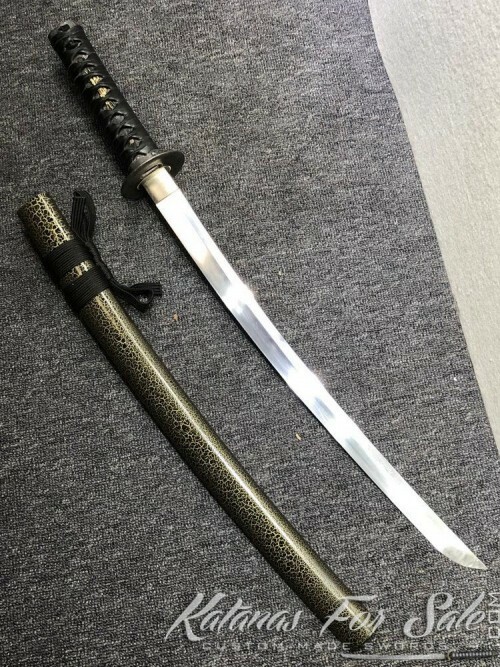 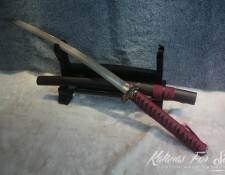 Categories: 1095 High Carbon Steel, Folded Steel, Wakizashi For Sale. 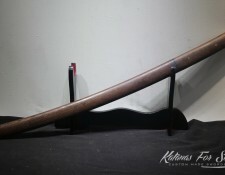 Tags: japanese wakizashi, samurai wakizashi, wakizashi, wakizashi blade, wakizashi sword. Saya (scabbard): synthetic green leopard leather wood Saya.